Well… I am super behind on keeping you guys up to date on all things HappyGirl… It’s been a month! Today I thought I’d share with y’all something I am super proud of. Yep, that’s right a little brag post here. 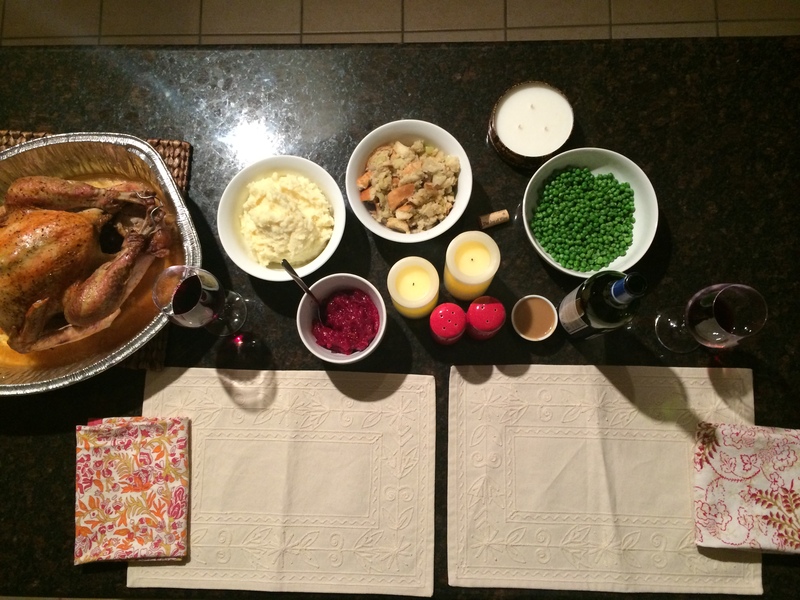 This year, before I went home to celebrate Thanksgiving with my family, I made my very first Thanksgiving dinner. To be honest, I wasn’t so sure it would all work out… So of course there was a backup lasagna in the freezer. But with a little help from my mom and my boyfriend’s mom, the dinner turned out to be perfect! The Turkey: This was definitely the most intimidating part of the meal. Plus, the smallest turkey I could find was 12 lbs! That’s a lot of turkey for two! It was so moist (I know I know, your ears just cringed a bit to that word) and yummy! I followed a recipe by Ina Garten. The Stuffing: I tried a stuffing I’m not used to having this year for my boyfriend. (It’s what he had growing up.) Instead of a mix of bread and lots of juices stuffed in the turkey, I used sourdough bread and baked it in a casserole dish. I have to say, it was really good, though! Cranberry Sauce: My FAVORITE part (along with the stuffing). Pretty standard. So delicious. Peas: We normally have green beans at my house, but I tried something new. It was the perfect simple Thanksgiving meal complete with pie at the end! 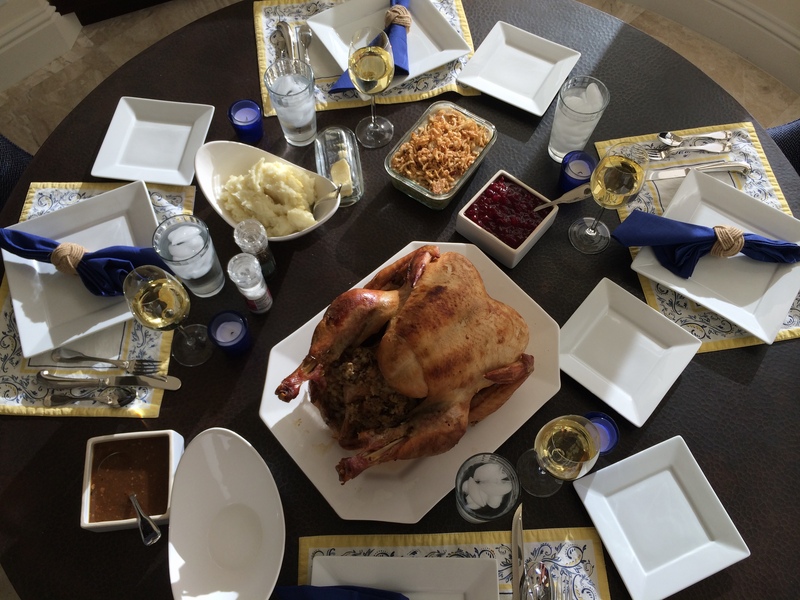 A few days later I flew off to Florida and had an amazing Thanksgiving with my family. Now, who’s ready for Christmas? !